So, back to the party… I’m so glad you could make it! Please come in, and make yourself comfortable. If you’d like to take a look around first, visit my flickr site here for pictures of my latest creations that now adorn my home. Then sit down for some cake and punch. Party hat above by Andrea. At the end of the day Wednesday I will draw a name from all the participants and the winner will receive the party dress below that I made just for this occassion. Stephanie also donated paper from capturedelements.com for the giveaway. Wow, cool stuff! After you've mingled a bit, have a seat in my studio, aka dining room, and let me show you a very quick and easy craft. 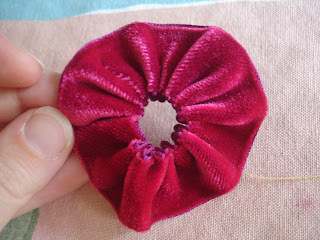 To make this adorable little rosette brooch you start with a piece of velvet or any type of ribbon you'd like and a piece of thread. Tie a knot in one end of the thread. 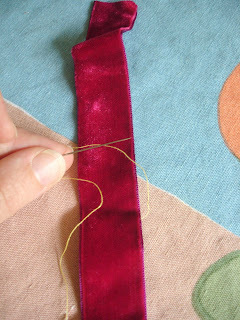 Do a running stitch along one edge of the ribbon. When you pull on the thread gently (you don't want it to break!) it starts to form a circular shape. 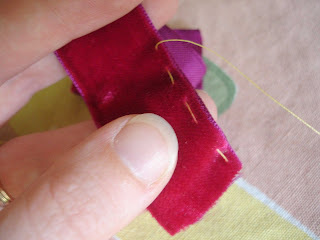 Continue with the running stitch until you have the circle the size you would like when cinched. Sew the two ends of the circle together. I placed a vintage clip on earring in the middle of mine and hot glued the whole thing to a vintage millinery flower. I then glued a round piece of felt on the back and glued a pin. I also like how it looks displayed sitting in the little vintage tea cup. Another idea for a really easy ribbon flower from the gorgeous book Ribbons and Trims is using wire edged ribbon, then you don't have to do the running stitch. Pull out 1/2 in. of wire from one edge of the ribbon and secure. Pull the other end of that wire, gathering the ribbon along one edge only to create a cicular shape. Roll the flower into shape. Now it's your turn to look to your fellow artsy bloggers for inspiration. Here is a list of creative happenings going on worldwide. Each one of these bloggers has their own unique style and talents. We're all lucky enough to share our creativity with one another through our blogs. Enjoy the tutorials and make sure to enter the giveaway drawings! The ever-creative Lilli has a jar painting tutorial that is not to miss. Absolutely beautiful! Fiona's party is well underway in Scotland. She shares a fun technique inspired by Karen Michel. Jennifer in California posted a wonderful tutorial on creating a really cool mixed media ATC (artist trading card). Check it out! eb and her mama got down and got crafty with a cigar box! Charity in Alaska put together some very inspiring fall eye candy. Tea Party Girl fills us in about the art of tea. Karla has an amazing tutorial on painted furniture. Wow! Michelle also has us getting down and dirty as she shows us her glorious fat book. Lina has the cutest welcome sign for all of you party goers. Sandy did a tutorial on digital collage with photoshop. So cool! She's also doing a giveaway for Somerset Home, in which she was published. Hop on over. Maggie joined the fun with an amazing illustration in her fun, vintage style! So unique. Andrea is here with an oh so fun vintage garland giveaway. This is spectacular! Laura's been busy and what a fun watercolor background tutorial she has posted for us all. Oh my goodness...check out the fabric orgami flower tutorial that miss*laurence posted. Love it! My pal Bonnie from South Africa is here! She has a fabulous banner tutorial and a giveaway. Laume is here with a book tutorial. As a librarian, I'm lovin' it! 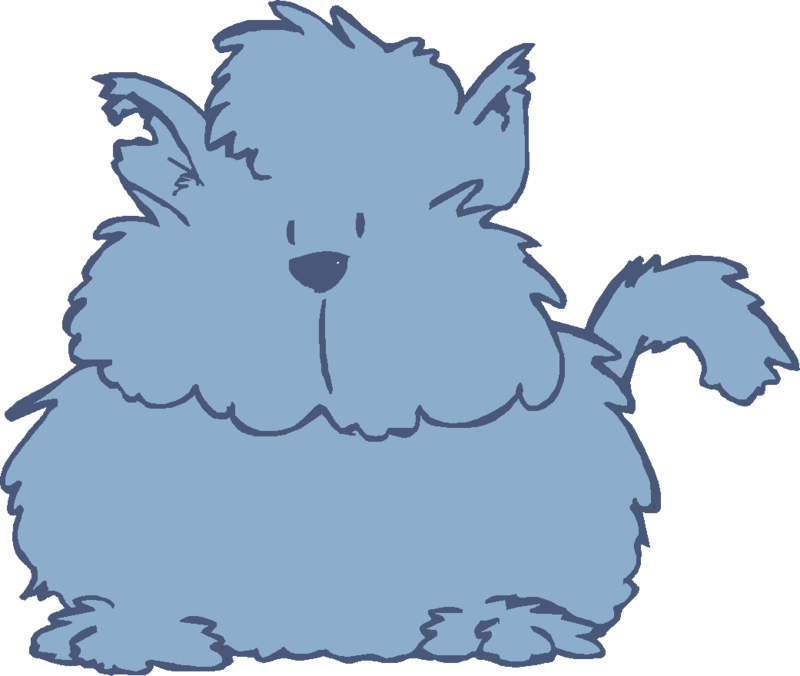 The queen of foof, Teresa, is here with some orgami, Matthew Mead and a download. She's also giving away a copy of Artful Blogger. Loads of fun! Cindy from Texas just posted a tutorial for a hankie card. This is absolutely fantastic, I must try this! 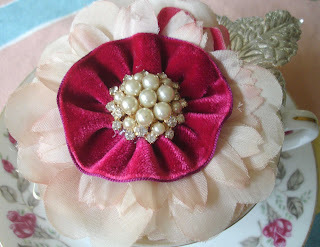 A button flower tutorial from Becky. How cute! Some music and great inspiration from Sarah. Dawn posted a tutorial on carving your own stamps. Another thing I've been meaning to try! Check out her Art2arT site for more inspiration! Crafty sent us a postcard all the way from Italy! Carol is here from Germany. 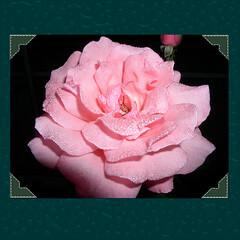 She has some amazing Marie Antoinette eye candy and lovely pictures from her garden! Linda has some fab ideas for altered and stamped photo images. Stephanie posted some amazing mail art inspiration and some links to fun tutorials. Karla posted a gorgeous bow tutorial. 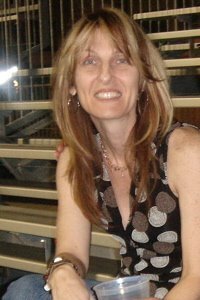 Bonnie Rose, my Minnesota blogger pal wrote wonderfully in her post today about the real art of blogging. Here's a great packing tape transfer tutorial by Beth. Haven't tried this in awhile. It looks so neat! Carol has some lovely charm inspiration. Sharon shares with us her process for her gorgeous photo journal pages. Stunning! Amy has a tutorial for an easy and cool transparency transfer technique. Ginny is here all the way from England, she has some gorgeous art and art deco-inspired jewelry to inspire you. Ellen has a tutorial for some ultra-embellished perfume bottles. The glitter fairy has an adorable altered matchbox to share. Gina wanted to make a shout out for her holiday cookbook art journal project. Check it out! Jenna gave her mom an arty tea party for her birthday. Wanna be a diva? You must check out Karen's amazing crown tutorial. Dede has chimed in with a party hat tutorial. How fitting! Ever wondered about how to make those fun crepe paper ruffles? Find out from Natasha. Lovely! Lia has a tutorial on her little inchies...with a twist. Be sure and enter her giveaway! Cheryl has a very cool altered puzzle tutorial. How unique! Tamy has an easy and adorable coffee cozy tutorial. Go check out Christi's cards here. Gorgeous!! Love Charity's crafty kitchen apron. Staci, part of the creative force behind this very publication has offered up a free copy of Artful Blogging for one lucky winner! Jerusalem has a super fun party hat tutorial. Check out how fun the skirt is on it!! I have always wanted to know how Julie does her gorgeous sewing on paper. She shared it with us on her blog today. Woohoo! Laughing duck blog has a cute post-it note cover tutorial. You ladies think of everything! 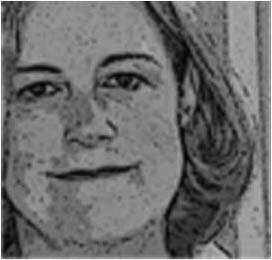 Cecilia in Sweden wrote about what insipres her and wants to know what inspires YOU? Michelle has a neat mini book tutorial. Cindy's glittered sign is amazing!!! Check out how she altered one that she bought and glammed it up. 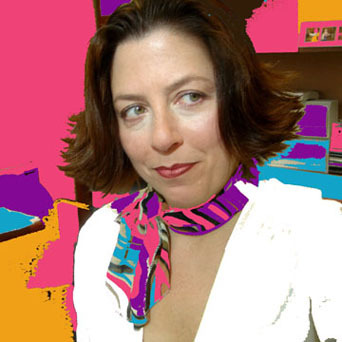 Liz has a very fun meditation for us all take a moment and get our creative juices flowing. Heidi has some wonderful thoughts on artful blogging and a giveaway! Donna posted and amazing water transfer technique. I must try this one out ASAP! Beth shared a tutorial on making felt notecard holders. Erin shows us an adorable crib bumper she made and her two-cute-to-boot sons! Maggie fills us all in about digital papers. TheMomintheFamily joined in with some wonderful projects. Kagedfish is having an "unusual" artsy party. She'sSewPretty has a fun graphics link for us. Kerri has some fantastic easy backgrounds. Definitely going to try these! Awesome vintage button bracelet tutorial from Heather. Linda shows us how to alter a cd. Barbara has joined us with some fun goodies to share. Carolyn shows us all about altering a plastic plate. Tricia even has a child friendly tutorial of making collage boxes with kids. How fun! Rebecca has a faux finish background technique that looks fantastic! Tricia shows us her photos from her trip to Curious Sofa. What an inspiring place to visit. 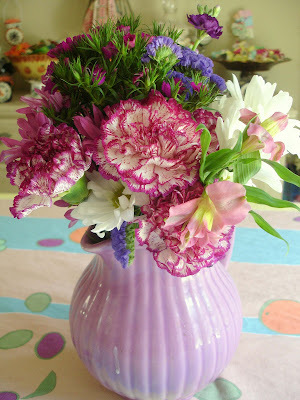 Here's to Valerie's new blog and her adorable little crepe paper bloom tutorial. Kira shared a canva word charm tutorial. 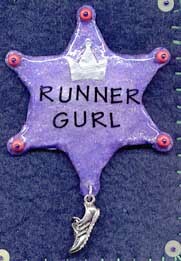 I'm going to have to make one of these. Lots of places to hang them from! Corina has a puzzle collage card tutorial. Nicol Sayre is in the house with a **gorgeous** paper cone, folded stars and medallion tutorial. Lesley shows us her "paper curtains" and other lovely things. Kim is here from Canada with some very artful home decor. Lovin' the piece babsarella shared. Beth has a cool collage and an idea to share. Contessa has a cool collage inchies tutorial. Jessica has some cool crafting goodies and a giveaway. Hope we can cheer Dawn up on a difficult day. Love the shirt! Jeanne has arrived! Now the party can really begin. Hehe! She shows us how to use alcohol inks to make a really unique necklace. Never tried that! 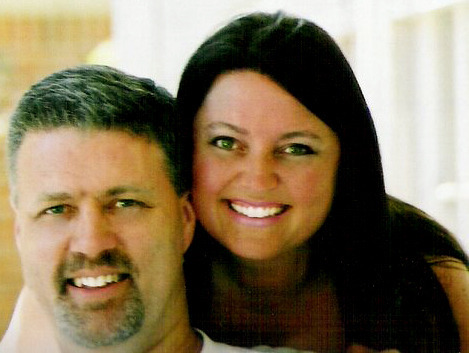 Jodi talks about what inspires her. Gina is here to celebrate. Kimberly made an adorable doll bed and shows us how. Angelina has a giveaway! Put your name in for some gorgeous cards. Kimla Kay is here and there's plenty of cake left, don't worry. She posted a fabulous tutorial for making a absolutely glittery gorgeous frame inspired by one she posted awhile back. I love this! Chia posted a darling paper kimono tutorial. Hurry on over, Angela is having a drawing for a wallpaper packet. Becca decided to come out of lurkdom and share some of her fabulous art. So glad she did! ArtTeaLife is here showing us some totally gorgeous, one-of-a-kind mail art. Woohoo! Sid is here with an embossed penants and plaques tutorial. So cool! Stacy has a fantastic looking mystery package to give to one lucky winner. Zorana posted a very ingenious atc holder tutorial. Oooohhh Amy posted a tutorial for a way too cool art doll hat. Fun!! Another Amy posted a tutorial for making super fun and funky twirly ribbons that could be used on just about anything. Bessilu showed us some gorgeous hanging picture pockets that she's been making lately. Carlene showed up with a very creative 30 min. shadowbox frame tutorial. Another Minnesota blogger, Renee stopped over to do a giveaway. **100th party!!! ***Take a look at this totally unique take on making a jewelry hanger tutorial that Lisa did. Jess posted about her super cool shirt designs *and* she's giving one away. Really spectacular! The wonderful Rosalyn-Sue is here to show us how we can use our craftiness to support our troops. Connie has tons to celebrate. It's her birthday and her first blog entry ever!! The queen of stencils herself, Michelle Ward has joined us and shared a tutorial about making a stencil and mask. Too cool! Cathy has a tutorial on super cute refridgerator magnets. I'm definitely going to do this. Lani has a gorgeous blog and a wonderful art giveaway! Melanie has some fun ideas for creative stamps. Patsy has been a busy, busy girl. See the wonderful art she's been creating. Jenny and Aaron closed out the party in style. They have a fab giveaway that's not to be missed! oooh I luv the dress and the cake colours. I shall returned in the morrow before the chat at dragonflaire with my interpretation. AHAHAH!! We are on vacation, I have nothing to offer but my support and enthusiasm...Thank you for hosting, cant wait for tomorrow's treats!! Have fun and enjoy yourselves. I am very jealous!! Thank you so much! You're the hostess with the mostess. :) I have an airport run to make in the morning, so I hope you don't mind an early post. Thank you and can't wait to make the rounds tomm. as soon as I get back. Over at Tea Party Girl we're talking about beauty, the Art of Tea, and how Artful Bloggers can add beauty to our tea experiences. We look forward to meeting many new artful bloggers through this party! Hi Kari! I have gotten an early start on the party too, and have two party chairs all painted and ready for guests to sit on for a cup of tea! thanks for hosting, I am looking forward to seeing all the artful How To's. Just peeking in... what a beautiful blog and party... thank you for such a lovely tea and invitations for other artists to visit with! just stopping in to say hi! i love the rosette tutorial---i will have to try it soon! Hi ArtsyMama! I am so glad to have found your blog yesterday...woohoo! Love your tutorial, can't wait to try it. I don't have a tutorial posted yet, but i did make a cute little sign for all the artsy folk who might pop in! Thanks for doing this, what a great idea!! Oh by the way, can i have a piece of cake? Yum. I'm here for the par-tay!!! So far, it's spectacular!!! I plan on hanging around for awhile! Thanks for the invite and thanks for hostessing!!! Fun fun fun...and I'm all for having fun fun fun! A - Mama, I am doing a mini tutorial on digital collage with Photoshop. I will also have a give away to celebrate my first ever magazine articles in Somerset Home. Love the party festivities! What a fun idea. Can't wait to try the rosette idea. I've been looking forward to the party but couldn't make it until I'd finished up yesterday's chores - laundry, cooking, taking my son to the eye doctor, picking up my... oh, never mind. Boring. I'm here now. The cake looks delicious. I'm off to grab me a piece and go mingle with the other guests. I made it!! I posted a banner tutorial on my blog in honor of your arty party. thing you made-thanks for that, I will have to try those! Your dress is beautiful too, wouldn't mind being the owner of that! The cake looks delicious! And thanks for the tutorial...I can't wait to make a flower myself. a fun party, as always Kari! And I could really go for a piece of that cake. Wish I lived closer...I'd stop by and visit! I posted a little giveaway of a Garland of Goodies I made for the party! Wish I had the time this week for a tutorial. Yours is adorable! Thanks for a fabulous party! Thank you for the invite and I look forward to seeing all the artful inspiration. 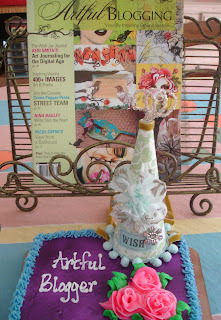 What a fun party and I just love Stampington's first volume of Artful Blogging. All the best and thanks for the cake! What an awesome PARTY to be invited to. I've just added my PARTY POST to my blog. Have a fabulous day and I'm so excited about checking in throughout the day to see all the CREATIVE ideas and tutorials. Great pictures and instructions that you share here, thank you very much! I'd like to party whith you again and have just posted an artsy post on my blog. Have a fab party day! Hi Kari and all yer blogging gals out there. Lovely party and so greyt of everyone to share these tutorials. Can't wait to see what everyone is doing. Fun, fun, fun! Thanks for the inspiration! Hi Kari, thanks for invite to the party. What a great idea. I have some button flowers over in my coner of Arizona. Thanks for the cake! The party looks lovely, I'm going to mingle! Have already written here once but just wanna say I'm sitting here with tears in my eyes in awe at all these wonderful bloggers who are sharing their art with us, don't know why but it has overwhelmed me. Unfortunately, it's something that I'm not used to where I am. What a neat idea for a party! And there's cake too! I am so enjoying looking at all the projects. Tons of inspiration. Thanks so much! Thank you for the lovely party! It is a pleasure to join you all! I'm so excited to join your party. Thanks for hosting such a wonderful event again! 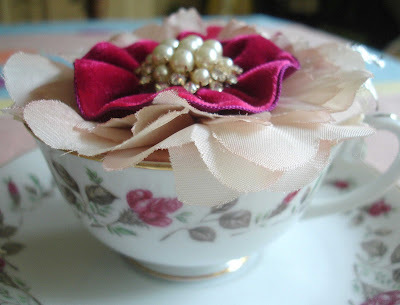 Your tea party was the very first thing I participated in when I started blogging! Congrats to you on your Artful Blogging article. I have a copy and it is just wonderful. Thanks for the wonderful flower tutorial. I have a bow tutorial over on my blog. I shared my writing, all about the real ART of blogging, and what it means to me and what I try to accomplish thru my blog daily. What a great idea! To add to the party, I've done a little tutorial on making a packing tape transfer. Have fun everyone! 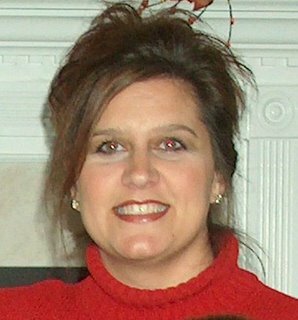 I am Carol from Missouri~Raised In Cotton is my blog and shop name. 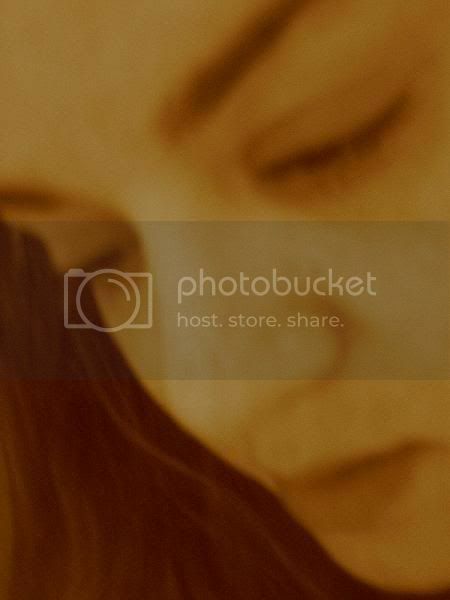 I bought Artful Blogger yesterday and found your beautiful blog. I have been thinking alot about my years of crafting and even did a post last night on the subject. I will be at Silver Bella and look forward to meeting you! wow there ae so many friends in it. Yeah! so proud of you! see ya at silver bella! cant wait! p.s hope you were'nt affected by the bridge! sad! Such fun...My post is more simple-crafty than artsy...Does that count? Lots of neat posts already! I'm here to join in the fun. fromthepines.blogspot.com. I have a tutorial on altering a puzzle. 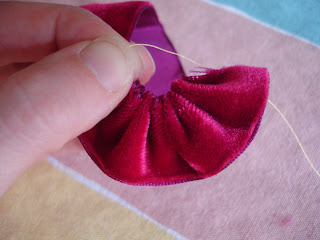 I've got a tutorial on an easy way to make crepe paper ruffles on my blog at the moment. hey Kari my post is up wth a tutoral on making a party hat, like the one I sent Teresa MCFabulous for her birthday. Thanks for letting me share it with everyone! Thank you so much for the party! I have seen so many wonderful ideas today, I am really inspired. And there are still more blogs that I could visit! Ok...I'm off to look at everyone else's blogs and learn som new stuff! The cake looks yummy!!! And I love the dress! www.glitterworksstudio.blogspot.com on how to make a glittered bumblebee matchbox ornament. 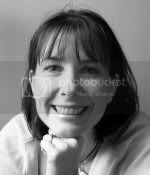 Now I'm gling to sit back with a cup of tea and an imaginary piece of cake and enjoy meeting all your artful blogger friends! Thanks for hosting such a wonderful event! I so so love it and having a lot of fun traveling to all the blogs around the world. I found your blog info from Elsies blog~ and am going to play along today with my DD!! We are going to make up something fun with FELT when we get home and I will share it on my blog! Thanks for such a fun party! Hi Kari I have managed to make the Party. I'm in England so throw my piece of cake long and hard!!! Enjoyed to cake and it was beautiful as well. Love that purple as you will see over at my party. Of course I had to drop in and give my well wishes to you and everyone at your party. Everything is beautiful, especially that cake. Did you know purple is my favorite color? If I'd been thinking far enough ahead, I would have posted a "how to submit your blog to Artful Blogging" on my own blog as my contribution to the feast of how-tos you've got linked here. I didn't get that done, but so as to be a good guest I will offer a free copy of the magazine to one of your party-goers, to be randomly selected after everyone's gone home. 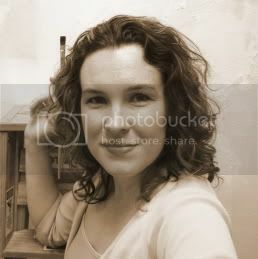 Thanks, Kari and everyone, for your enthusiasm for Artful Blogging! I have a party-hat post for the party!! Everyone looks like they are having so much fun! Great idea! Wonderful Party! I Posted instructions on my blog how to make a digital silhouette. Hope you girls enjoy the tip! I made a post-it cover turorial to join in the party, thank you! Hi Kari: What a fun party. You're a wonderful hostess. I'm finally here. Congrats on the book! I've been painting every spare moment lately. So fun! Thanks for the great idea! I can't wait to pour through everyone's blogs later today and learn some new tricks! What a great party, again! I have been at work all day and loved coming home and seeing so much wonderful things to learn in blogland! Here are so many tutorials that I can craft all my vacation! If you are not tired from all the mingling, go over to my blog and read about what inspires me. I would love to hear what inspires you! whew! it is a bit challenging to take pictures with your left hand while sewing with your right but i am all ready to go. a fabulous idea kari, thank you all for the wonderful inspiration and gorgous art! Hi Kari! Oh do cut me a slice of that yummy cake! 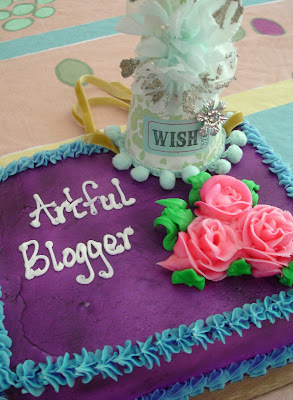 I've posted my "Artful Blogger" party posting today! I'm loving this gathering! I wish I could have posted a craft, but my current craft is secret, you know how that goes. I'm also including an Artful Blogger Giveaway for all who leave a comment! My name is Heidi, my blog is "Everyday Cookies at Sweet Woodruff Acres" and I live on the beautiful southwestern Oregon Coast! Oh boy! We're cookin' now! I just uploaded my tutorial for an easy water transfer. Thank you Kari for putting this together! thanks for all the great ideas...can't wait to try them out. Great party Kari! I've been dipping in all day and now I'm off to say hi to various folks. Thanks for organising this. I'm new to this blogging world but would love to join the party. Your creations are beautiful and inspiring. Looking forward to sharing life. Thanks for hosting such a wonderful party! The cake was delicious!! Today my DD and I made these little felt notecard holders! I have to make up my notecards, and will share but for now I have shared what we did and how we did it! THANKS for a fun party!!! Congrats on the magazine article. Can't wait till it comes out!! This is awesome & I am so excited to have a "go-to" list when I have quiet moments to myself! Thanks for all the creativity. My post is up for the party. It's on a crib bumper I made. I actually covered my old one to match the new nursery. thanks. Off to surf! OMG this is so cool!! I found the link from a blog I just read and so excited I checked it out. Thanks for a fun party...off to check out the tutorials! What fun!!! I am so looking forward to checking out all of these great blogs! Thanks for being such a sweet hostess! What a wonderful party! !thanks for the invitation!! This is so much fun! I'm bookmarking your site so I can come back again. I posted about your blog today. No tutorial but some information on a cool site for free clip art and tutorials and a little sheet music from me. Thanks for this fun idea!! Hello so sorry I'm late but I didn't think I was going to participate and found that I couldn't go through any more of my day without having a party of my own!! This is such a fantastic idea!! and love the magazine!!! Here I am I'm off to visit the other parties!! You have such great parties!!! I can't wait to visit all the links on your page. I just posted photos of our crafty projects for the week. I didn't take step-by-step photos but I did explain how I made them. Also, earlier today I had a giveaway entry. I'm giving away two vintage aprons! Come by & visit! What a wonderful idea - I'm headed to post a tutorial now. I forgot to add that my how to post is up on my blog! Hope you like the mini-book I made! Thanks for the invite. I just love parties!! I've been enjoying this so much and admired the number of giveaways. So I've added a vintage giveawy to my Party posts too. Keep up the inspiring work Kari! don't the most wonderful people come together in this arty blog world? Thanks so much for hosting this party! I've enjoyed a lot of the "eye candy" already! I am just starting back into crafting after getting away from it when my children were smaller. So I feel amateurish compared to some of the beautiful things I've seen. But I so wanted to participate, I jumped in anyway. :-) I have some pictures of the things I have been doing recently with paper crafts and button crafts, plus my favorite stitched piece. Thanks to everyone who contributed! I'm off for more inspiration from these wonderful posts. This is my first time at this, hope it works! I love this whole idea! Can't wait to look at all the posts! Tricia S.
PS: i forgot to thank you for the great tutorial! i just happen to have some velvet ribbon in a suitcase, waiting to be loved. Hello! 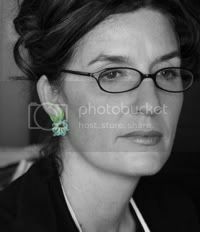 I am so happy to see you having another one of these blog parties after reading about your tea party in Artful Blogging. *G* I decided to put together a fun little tutorial to join the party! This was a great party, I did put a short tutorial on my blog without knowing about this great event (making a puzzle collage card)! This is my first blog - party, I think is really about love and art! Thank you so much for the invitation to your lovely party. You are a wonderful hostess and I am so enjoyiong getting to know the other talented guests. This is a wonderful blog and such a great idea for the blogging party. I'm new to blogging but i've been having a ball with it. I like to write and take pictures. If you get a chance please stop by and leave your comment i'd love to get your opinion. Have a great day and PARTY ON!!!!!!! I am so happy to have "met" you last night while visiting friend's blogs. I have left an "artful" post at my own blog and am looking forward to really joining the party when I travel to the City tomorrow and can get a good internet connection and "see" all the festivities. Thank you for such a lovely gathering! I always love your parties; thanks for the invite! Loved the article in The Artful Blogger Magazine; Chloe was adorable. You are always an inspiration, and your parties ROCK! Have a very happy day and thanks for being the perfect hostess! Hoping I can play along. I put together a tutorial for Collaged Inchies. What a wonderful party! I also have an idea at 5stamps.blogspot.com I'm not sure if this one counts, but feel free to use it if you want! your teaparty fell on teavorce day. i just blogged my shirt that i made for the trip to the courthouse. i hope to stay up and read through everyone's posts tonight. thanks for the hosting the party! Hope it's not too late to join in on the fun!! Thank you so much for this lovely party!! What a wonderful idea!! I just love the artful inspiration I'm discovering! Hi! I'm Cheryl from Plainfield, IL. Well everyone may have packed up and gone home but I'm better late than never! This back to school thing is wearing me out already. Anyone that comes over to my blog and leaves a comment will be entered in a drawing for another one of my wallpaper packets(seen a few posts back). Thank you so much for being an inspiration to us all! I have to say THANK YOU THANK YOU THANK YOU for having this party today!!! I have visited everyone on the list and am so excited about all of the wonderful projects i have to try. What a fab day. I am going to go and check out all of the crafts people have listed. Ding Dong. Hello, hello! It's Kimla Cotropia from Lewisville, Texas here. Just posted my artful blogging post at www.kimlakay.blogspot.com. Is there any cake left? Artsymama what a party. I only came in to turn on my computer and I have been here for one and a half hours and still haven't checked out everyones tutorials. This is fantastic. I will be back to check out the rest. This was such a fun idea! Thanks for all your hard work!! I hope you had fun looking at all the beautiful creations! I wish i could have contributed. Maybe next time? i can't wait to link onto everyone's tutorials....love this artful blogging!! http://www.vintagethreads.blogspot.com to sign up for the give-away. Thank you for doing this. 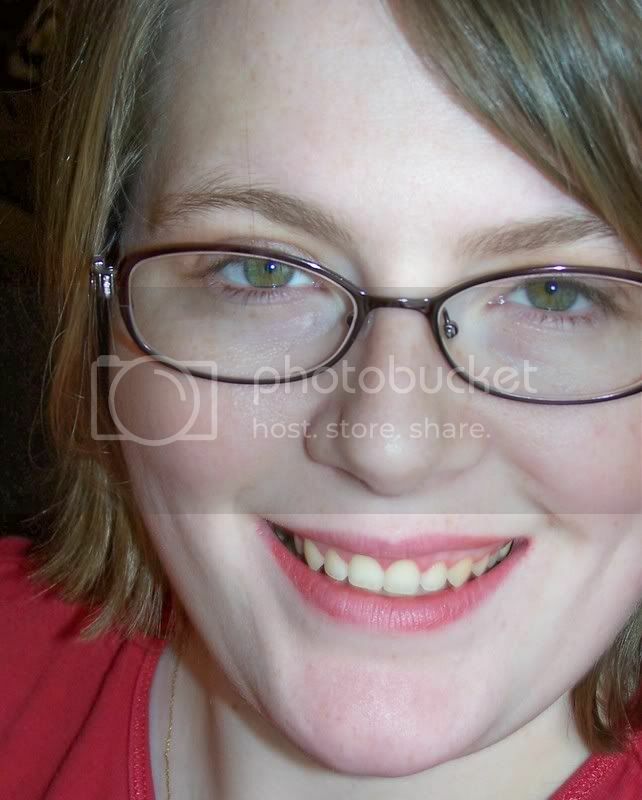 I am so shy and usually silently look on at others blogs, but I thought I'd join in on the fun today! I finally just got my post on. mmm, now where is that cake...mmmm! Thanks for the invitation! I just posted my tutorial here. Hey- I'm on a diet, so could someone else please enjoy that cake for me? Whoohooo! A party! I luvluvluv cake! This was such a good idea. Your pages in A.B. look awesome.... congratulations! Wow, I am new to this, sent away for the magazine and ready to go. Thanks for the inspiration. oohhh the cake looks yummy and the flowers are dreamy and all these LINKS are going to keep me up ALL NIGHT! Thanks for the invite, the lovely party, and the inspiration. All this artful Blogging motivated me to set a goal to post somethng artful every day for the next ten days! Thank you for the inspiration. There are so many new things to try! I just joined the fun!!! What a lovely party!! The cake looks yummy and we're all happy to have you as our hostess!! Thanks for the party. Sorry I'm late I was working, but boy you have MADE my evening. Wow, what a bash you're hosting here ArtsyMama! I hate to be left out of a party, soI've done a shadowbox frame tutorial on my blog today! Thanx for hosting such a fun party! I just did my jewelry hanger tutorial. Love your site Kari. Whohooo...I love a party and an art party is the best idea evah!!! i am asking everyone to drop by cause i need some opinions on a crafting delima. love your blog..have been lurking for quite sometime and this is my first comment! Love the blogger party--great idea and so much fun! Thank you so much for gathering us all together for this. It will take me weeks to go through all these posts and it will be such fun! I posted about my shirt designs and in the spirit of the party am giving away a shirt! Whewww, I made it to the party! So excited to start visiting around! I just added a post and would love to be listed. I am hosting a little giveaway and an opportunity to help others using our crafty talents at The Little Bluebird Diaries. Thanks so much, sweet Kari! You're quite the hostess! This has been sooo much fun today. Thank you for sharing everything! I appreaicte it! Have a great day and craft on! I think I may be arriving fashionably late to the party! What a great idea! Thank you for hosting..I can't wait to read all the links! I am sad I didn't prepare anything today....maybe I can find a little technique to share. I've been enjoying all the posts today!! I finally gave in and have posted a super easy tutorial for refigerator magnets...whip them up in no time!! Sorry I could not join in the party this time but I am loving looking thru all these great tutorials and the give-aways are fab! Thx again for all your blogging and networking and building up this wonderful artful blogging community!! Better late then never! I got a new post up....continuation of my obsession with stencils. Thanks Kari and everyone for a festive day! ArtsyMama What a great fun thing to do. Unfortunetly it was too late in the day when I found out about the party so I didn't have time to put a tut up on my blog. I'm off to check out some of the blogs posted. Let me know if you do this again! oh..you are going to find a way to archive all these goodies right? Because I didnt have time to go through all the tutorials..they were all so inspiring... Thanks for sharing your wealth of artsy people with us. What fun! Hope I am not too late. I am celebrating with a hot cup of tea and dove chocolate and have a sweet art giveaway "Blessings Basket" to share! Hope you'll stop by! How am I going to pretend I did any work in the house today. Just checking out all thee tutorials and blogs has me wearing out my chair at the computer. Kari!!! Hooorah Hoorah!! The hostess with the mostess is at it again!! Thank you so so much from the bottom of our hearts! You are such an incredibly inspiring gal! So so happy to know you! ps...your article in Artful Blogging....PERFECT!! :) and Chloe is edibly cute!!!! Oh do I feel silly! I humbly just now realized the art party was yesterday....and completely had my days mixed up. I am sooo sorry but thought the idea was so much fun. Thanks so much for the wonderufl ideas!!! get out that velvet ribbon eb! What a fabulous party! Thank you for the fun links. I am sorry I did not get it together enough to participate today!! Cheers!! I will only be staying for a bit of tea as doggie is in the car and its hot today. 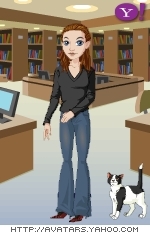 here is my site-not nearly as good as anything here. What a fantastic party. I have been enjoying the inspiration and tutorials from all the talented artist. What fun. It's going to take a couple of days to read every post very carefully. Your elegant little flower is lovely I appreciate the instructions. I would like to make some for my next tea luncheon. Thank you for a wonderful time and hosting this inspiring party. Congratulations on your article. so much inspiration to be found! what an incredible post! I just picked up this magazine the other day and oh my. What FUN! I could literally spend all day exploring all of your links! Thank you for the flower tutorial. Day late and a dollar short as usual..but thanks for all the great links!!!! I am so sorry that I missed this party! I even have my copy of Artful Blogger within reach! I love Somerset anyway, so this was a natural segue! You throw a beautiful party! 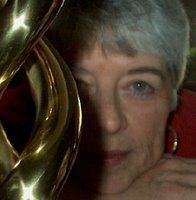 or just go to sallyt.typepad.com and scroll down to Oct 7's posts --it'll be the second post that day. to find it! Sorry 'bout that senior moment. Well, looks like I missed the party, but what a great idea, and tons of new links to check out! Blogland just keeps getting better & better! Wowie Zowie - Not sure if that’s how you spell that...Thanks for all of the great ideas and places to visit. I found your blog through Red Shoes and now I am off to find more though yours. So much fun! What party...no one told me til it was over? I would love to join the party. Please add me to your list. That is one delicious looking cake. YUMMY!!! I found your site through Cathy at cranberry cottage. LOVE your work. Please stop by at my site and sign up for the One World One Heart give-away. Amazing blog.I really like your blog.Very creative blog post.Thanks for sharing such kind of wonderful blog. Your projects are so nice.Plant your own little giant blueberry plants. Beautiful and very creative art shred here.This is really very much impressive creativity made by you.Good work. Such a usefule blog�wow !!!! I love to enjoy in parties , all you guys love to enjoy parties ?